How Do I Register to Vote in Bates County??? Come to the Bates County Clerk's Office in the Bates County Courthouse. You will need a form of ID. If the ID does not have a current address, you will need to bring some sort of paperwork that shows your Bates County address. Where Do I Go to Vote in Bates County? 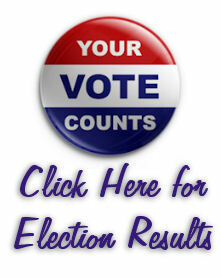 Click here for a list of Polling Places for April Elections. Polls open at 6 AM and close at 7 PM. Filled out absentee applications can be emailed to bates@sos.mo.gov. Applications must be in the Clerk's office by 5:00 p.m. on the second Wednesday prior to the Election.